Positioned between the 25-year old Excellence and the 35-year old XO stands this 30-year old 100% Borderies cognac. One of three Reserves de la Famille, comes entirely from Borderies Cognac. 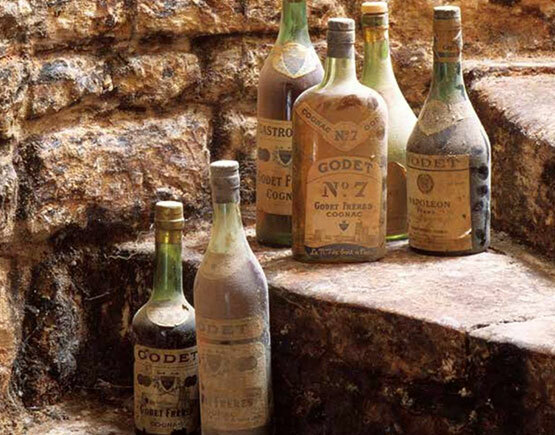 Founded in 1782, Godet Cognac ranges amongst the oldest cognac houses. 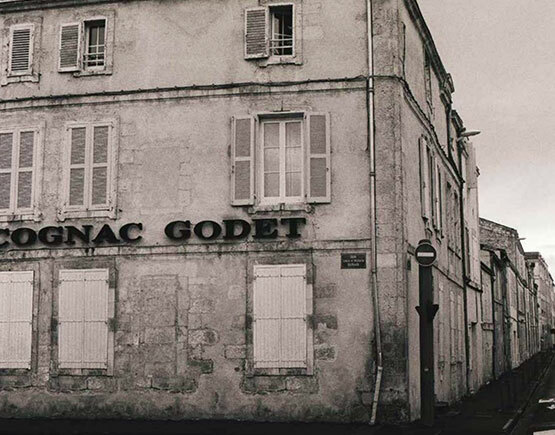 The Godet family has been based in the seaside town and former trading hub La Rochelle for 400 years and since the very beginnings of cognac production, has played an important role in perfecting this culture. 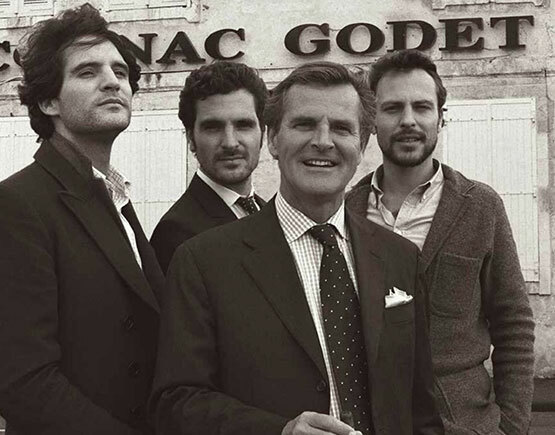 Since 14 generations, Cognac Godet has been in the hands of this family, who have placed tradition and excellence at the heart of their business. Godet is one of the few cognac producers, who use the Folle Blanche grape, the original cognac grape. 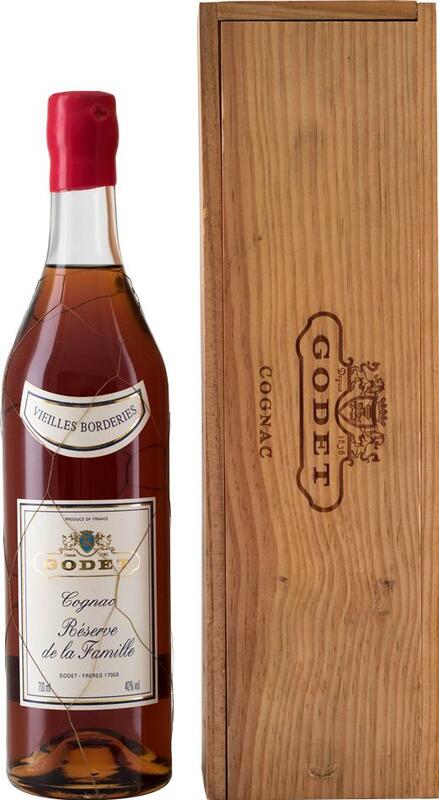 Godet manages to move with modern times, having recently created a cognac from a grape that is almost extinct in the cognac industry: Folle Blache. 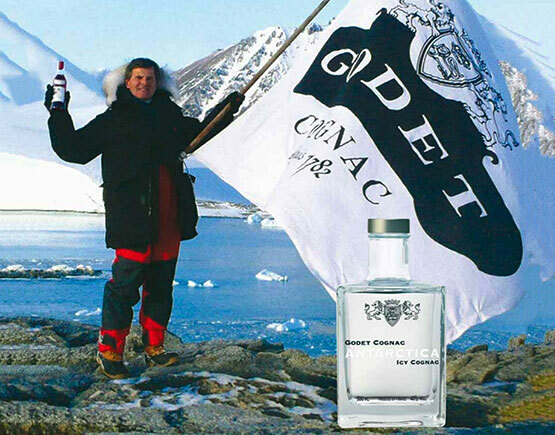 This cognac is called "Antarctica Godet" and was inspired by a 2-month sailing trip to the South Pole. Bonaventure Godet, or Codde in Dutch, came from a Dutch merchant family who emigrated around 1550 to France to start a trading business in salt and wines. At this time The Netherlands did not yet exist as a nation, it was called The Seventeen Provinces or The Habsburgs Netherlands. Even Cognac, as we now know it, did not occur in these years, sure the city did, but not the eau de vie. The shippers, many of the Dutch, came searching for wines and salt. Bonaventare Godet set up shop in Marennes and La Rochelle. 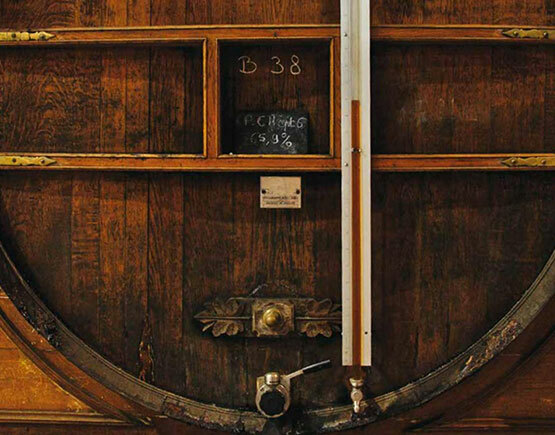 When the quality of the wines dropped, he and many others started to distill their wines. It is well-known that the Dutch were among the first to refine liquors in this part of France. Initially, it is known as Brandywine, or eau-de-vie and later on brandy. In the middle of the 17th century, the name cognac came in to use. When Henry de Navarre, the later King of France, traveled through La Rochelle in 1588 he was given a bottle of Brandywine by Godet for which six months later he received a letter of thanks, a message that is still cherished by the Godets. 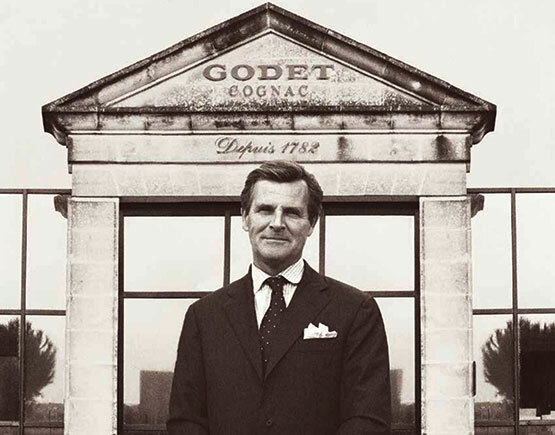 All this undeniably shows that the Godet family is the oldest still existing family in the cognac business with links to the Dutch origin of cognac. In 1699 Jean Godet was knighted and received his crest, a blazon with three glass cups and a star. At the same time, he was appointed a lifelong mayor of Fontenay-le-Comte. 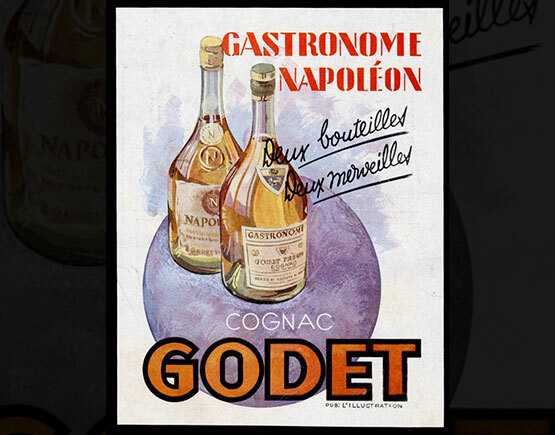 It was Gédéon Louis Godet who in 1782 started to sell cognac under his name. This date is now by the Godet family used as the official date of establishment of the house. Three years later he was selected to become the substitute commissioner for the mercantile marine of the Republic of the Seven United Provinces (then to become The Netherlands). 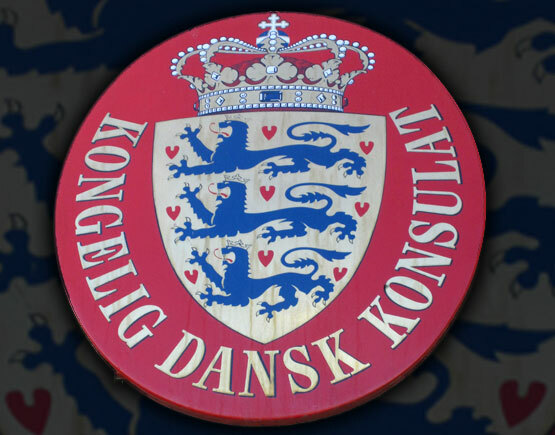 And again one year later he became vice-consul of Denmark. His descendants still are, as can be seen by a plaque above the main entrance of the Godet building on the Quai Louis Durand in La Rochelle. In 1816 Auguste Godet started using little 5cl glasses he had brought from the Netherlands. Entirely different from drinking from a tin cup and proved to be an instant success and it linked the family name to the now new saying; Boire un petit Godet; (which translate to; drinking a little Godets shot. Godet in French refers to a small mug). When Auguste Godet in 1858 married Louise Hivert, heiress of Hivert-Pellevoisin – one of the leading trading houses in La Rochelle at the time – he also became the owner of the Chateau le Clavier and its vineyards. They have owned four different vineyards: Grace Dieu, Le Clavier, Domaine du Fiel and Les Chabosses. 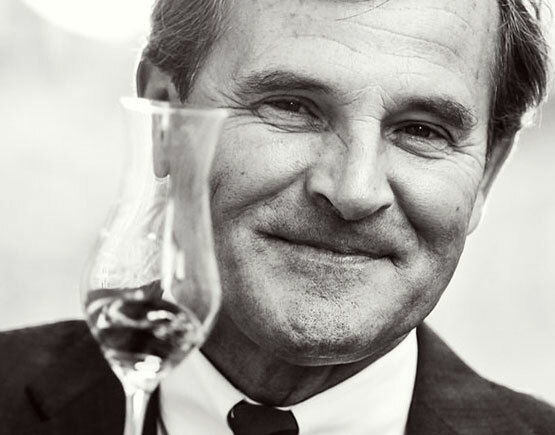 Today they do not own any vineyards anymore, but purchase all their eau-de-vie from the five different crus. They have also sold the Chateau le Clavier after the Germans destroyed it in WW II. At the beginning of the 20t century, Jean Godet was sent to New York to facilitate the export to the US. He stayed there for 12 years and even during prohibition he managed to keep the business alive (also supplying Al Capone!). 1984 was the end of a less fortuitous period for Godet. They decided to sell the company and became part of the Grand Metropolitan Group that later merged with Guinness to form Diageo. But the Jean-Jacques Godets stayed on as the CEO of the firm and when business improved they were even able to repurchase the company in 1995. 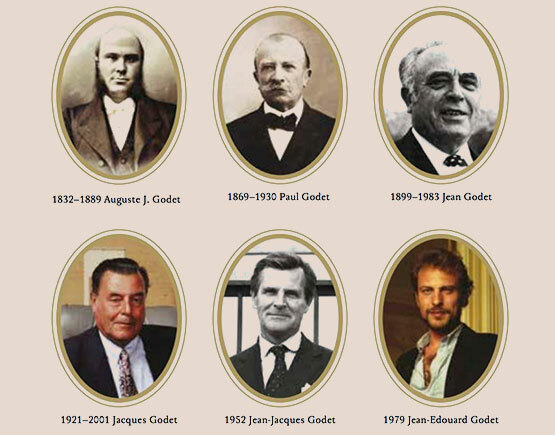 During the whole 20th century Godet has continued exploring new markets and expanding existing ones. They are now all over the world. 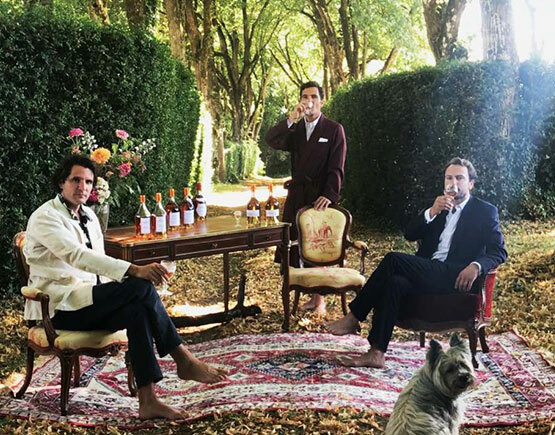 They own several other brands: Artaud de la Ferrières, Hautefort, Hivert & Pellevoisin, Grace Dieu, Richelieu (sold to Distell), Baron de Chastelard (sold to Slaur Sardet), Courtell & Co. Godet is the only cognac company that is still present in La Rochelle. They contemplated moving to Cognac but kept true to their roots. An essential factor in this decision is the neighborhood of the ocean. Everyone knows that the humid sea air is beneficial for making smooth and round cognacs and the cellars in La Rochelle with almost 700 square meters of stocks supply it. Rumors are they have to move out of the center of La Rochelle because of the fire hazard, but they will stay in the neighborhood. In the meantime, a footbridge arises over the Canal de Rompsay leading up to the Saint Sauveur church with the name: ‘Passarelle Bonaventure Godet.' Today Godet prospers and is experimenting with new products and expanding activities towards Bordeaux wines. In cognac at this time, they have a wide range of products. Their classics are mostly blends, but they have enough specials of fine champagne and grande champagne and vintages of all crus including some exclusive Folle Blanche vintage. There are a lot of beautiful antique Godet vintages too if you look for them. Some bear the name Godet Frères, used when Paul and Louis Godet were in charge during the end of the 19th and beginning of the 20th century. Perhaps now, with three brothers in charge – Jean-Edouard, Maxime, and Cyril of the 15th generation – they should consider using it again.